The intent of this Puzzle Event Calendar is to gather information about puzzle events from all over the world so that puzzlers can participate on these events. Championships are official events usually organized by members of the world puzzle organization: World Puzzle Championships (WPC), World Sudoku Championships (WSC) and corresponding national championships. Competitions are events which can be organized by anyone. Common to these events is that there are several puzzles to solve in a given time and that the competition results is a ranking of solvers according to the rules. Meetings are held by organizations related to puzzles; e.g. the annual meetings of the German Puzzle Club. Other covers all what does not fit into the other predefined categories. PEC Website: You can visit the PEC Web page regularly and look for new events. Especially the "upcoming events" view may be useful for you. PEC RSS Feed: You can subscribe to the PEC RSS feed. Any update of the PEC will be announces via this feed. PEC Mailing List: You may subscribe to the PEC Mailing List. New events may trigger a mail to this list, depending of the event settings by the organizer. Usually, additional information is provided by some Web page created the the event organizers. Additionally, an organizer may provide some means for questions and discussion, e.g. a Web forum or a mailing list. Note that the PEC Mailing List is not intended for such discussions. However, if the organizer does not provide such discussion opportunity, the Puzzle Event Calendar forum can be used for this purpose. 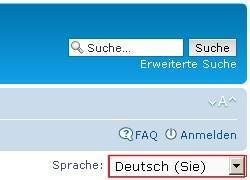 In the second step you can chose your language. 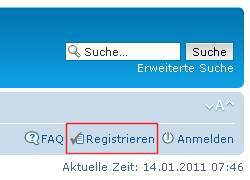 From this point on the registration process continues in the selected language and should be self-explanatory. Please provide a valid mail address (you can hide it in the profile settings to avoid spamming) because you must confirm your registration via email. The PEC supports many user interface languages. 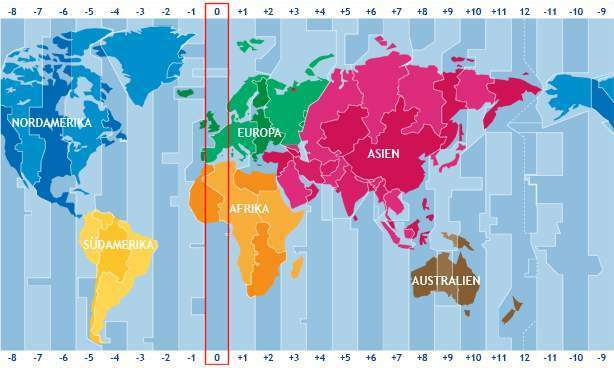 However, currently there is no support of time zones. All dates and times are in GMT (UTC+0). You can lookup the date/time in your local time zone using the time zone sheet. The Puzzle Event Calendar (PEC) is maintained by the organizers of the events. To prevent spamming, an organizer needs to be authorized by the administrator of the PEC, that's currently me (Otto Janko). If you want write access to the PEC, please send me a mail me. For read access mo authorization is required. What information should a organizer provide? The description should provide additional information; e.g. a short abstract, name and mail address of the organizer, address of a Web Forum or mailing list for questions and discussions. If you want to use the Puzzle Event Calendar forum for questions and discussions, please create a new thread for this event in advance and link directly to this thread. Alternatively, you (the organizer) may send me a mail with all data needs (see above). In this case I'll create the calendar entry for you. Important! Please do not create and delete entries just for testing, because each creation and deletion will create an RSS message and a mail on the mailing list.